Our firm is headed by Reginald D. Clark. Reginald was born and raised in Jackson Tennessee. After graduation, he headed one hour south to Memphis Tennessee to attend what was then Memphis State University. While at The University of Memphis, Reginald majored in Finance and landed an internship at Prudential in the financial services department. This was the beginning of his love for helping people manage their finances. In 1997, he received a Bachelors of Business Administration degree in Finance. He also went on to obtain an Executive Certificate in Financial Planning from Christian Brothers University. Reginald began to work for MetLife, but dreamed of having his own financial planning firm. In 2002, his dream came true. 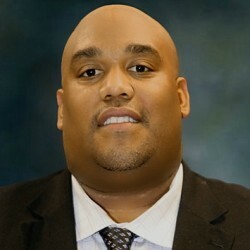 Reginald Clark founded P3 Wealth Management. Having his own firm meant having the independence and freedom to base recommendations on what was in the client’s best interest and not what another company mandated. Reginald’s calling to do what is best for his clients has pushed him to obtain the highest designation in the financial planning industry. In 2004, Reginald passed a rigorous 2-day, 10-hour exam to receive the marks of Certified Financial Planner practitioner. In Reginald’s quest to educate his clients and the community, continues to hold financial seminars, and has even written a book entitled What Happened To My Retirement? which is currently in the production phase. According to Clark, one of the greatest aspects of his job is having the ability to provide a valuable service to someone else. “My profession allows me to be compensated for helping people make wise decisions with their money and other assets. That’s a good feeling.” Reginald’s care for others doesn’t stop there. He is a devoted member of his church serving as Elder and Board Member. He also serves on the board of two non-profit organizations and former President of the Alumni chapter of his fraternity. He also cherishes the time that he spends with his wife, daughters, and extended family and enjoys reading, movies, and traveling.